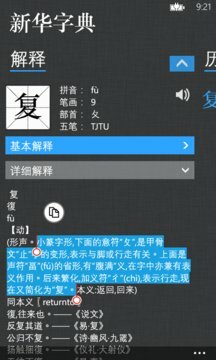 [Chinese Dictionary] is useful and convenient for not only Chinese but also non-Chinese speaking people. 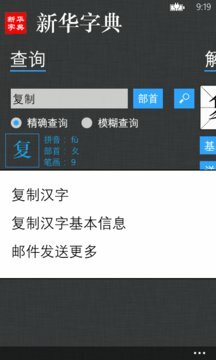 It has more than 20,000 entries with meanings in detail, with which you can look up almost any Chinese Hanzi you want to. It will be just perfect for you learning Chinese or working in Chinese. What`s more, it`s now free of charge, enjoy it. Fixed some bugs.The App will auto exit when the 1st time loads which is normal,please don`t worry about that.